As Benjamin Franklin famously said, “An ounce of prevention is worth a pound of cure.” Teeth sealants are a perfect example of this time-tested wisdom. These protective coatings can safeguard teeth, decreasing the risk of destructive tooth decay and painful cavities. A report released by the Centers for Disease Control and Prevention in 2016 compared the number of first molar cavities experienced by school-age children with and without dental sealants. The results were striking. 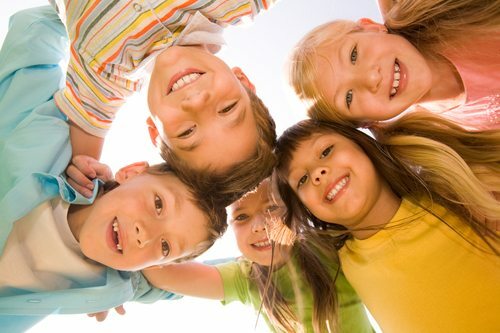 The children without sealants developed three times as many cavities as the children who had sealants. Clearly, sealants work. Dental sealants are thin coatings of composite resin that are generally painted on the chewing surfaces of the permanent back teeth. Much like a raincoat shields its wearer from a downpour, sealants form a protective barrier to shelter these surfaces from the bacteria and acids that cause tooth decay. The chewing, or occlusal, surfaces of premolars and molars have natural pits, fissures, grooves, and depressions that can be difficult to keep clean. As a result, plaque tends to accumulate in these places, increasing the risk of cavities and decay. Sealing these surfaces with composite resins protects the vulnerable areas and safeguards the teeth. Do Sealants Have Other Uses? Although sealants are primarily utilized to protect the permanent molars of children and teens, they do have other potential uses. Sealants can also be used to protect baby teeth that have fissures or grooves that are especially deep. While baby teeth will eventually fall out, they are vital for healthy chewing and establishing the correct spacing for the permanent teeth. Thus, your dentist may recommend sealants to reduce the odds that at-risk baby teeth will be lost prematurely. Likewise, adults with teeth that are especially vulnerable to decay because of their shape may also be encouraged to have sealants applied as a preventative measure. How Do I Care for Sealants? Once the sealant is dry, you can use the tooth normally. No extra care is required, and you won’t need to change your diet or oral health routine. Dental sealants can last for up to 10 years, but they should be checked for chips or erosion during regular dental checkups. If a sealant fails or wears away, your dentist can replace it. Can Sealants Keep Teeth Completely Free of Cavities? While sealants are one of the most effective methods for preventing decay on occlusal surfaces, they do not guarantee that you will never have another cavity. For starters, they do not cover the entire tooth. Decay may develop on untreated surfaces, like the areas in between teeth. Likewise, teeth without sealants will still be at risk for decay. Finally, sealants aren’t permanent. If they aren’t replaced as they wear away, the tooth will again be vulnerable to decay. So although sealants significantly reduce your overall risk of developing cavities, you should not neglect your oral health routine if you have sealants. They are most effective when combined with regular brushing, flossing, and dental checkups. Would you or your child benefit from the protective powers of teeth sealants? If you live in or near Springfield, Missouri, schedule an appointment with Duff Family Dental today to find out.